Base Camp is an apartment with a private entrance, featuring a queen size new queen platform bed with a Serta pillow top mattress adorned in comfortable, non-allergenic fabrics and pillows in the upstairs bedroom. The upstairs bathroom is fully tiled just off the bedroom. 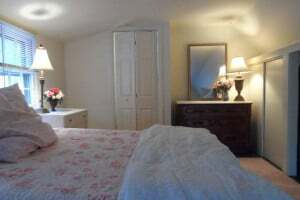 The bedroom also has a large closet and dresser for your cloths for your stay here in the Hudson Valley. Down stairs is the living room with a wall of books to simply kick back and enjoy a good read. We have complimentary Wi-Fi available in the kitchenette area only and HD Cable TV with many movie channels. The kitchenette has a small refrigerator, toaster oven, microwave, and sink. There is no oven. We offer a light breakfast with coffee and tea included. 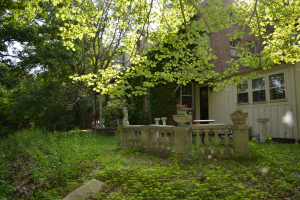 This elegant bed and breakfast is at the base of Mount Beacon, it will take you about an hour to hike up and a little less than an hour to descend down the mountain. Our bed and breakfast is just minutes from great restaurants, live music entertainment and world class art centers. The bed is the most comfortable bed you have ever slept in. Wake up enjoy our continental breakfast and see the deer and wild turkeys in the field from the living room. Total privacy with a wood burning stove. So romantic, you’re going to love it here.